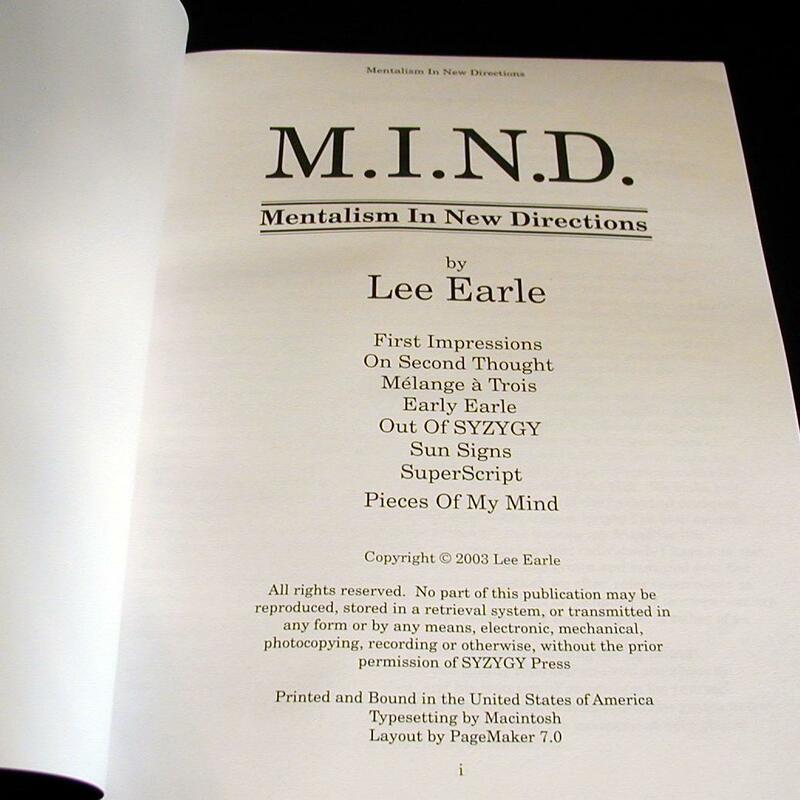 Lee Earle has spent a lifetime in the trade. 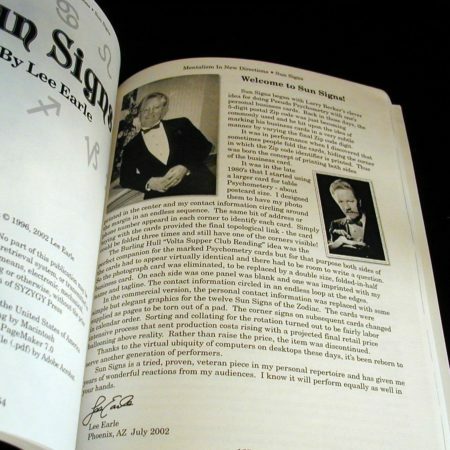 He has earned his ‘chops’ as a performer, author of multiple books, columnist for the Society of American Magician’s M-U-M magazine, editor of SYZYGY-The Journal of Contemporary Mentalism, publisher of books by authors Richard Mark and Larry Becker, creator and medium for Manifestations-The Ultimate Seance and originator of trademark Mentalism props, routines and concepts. 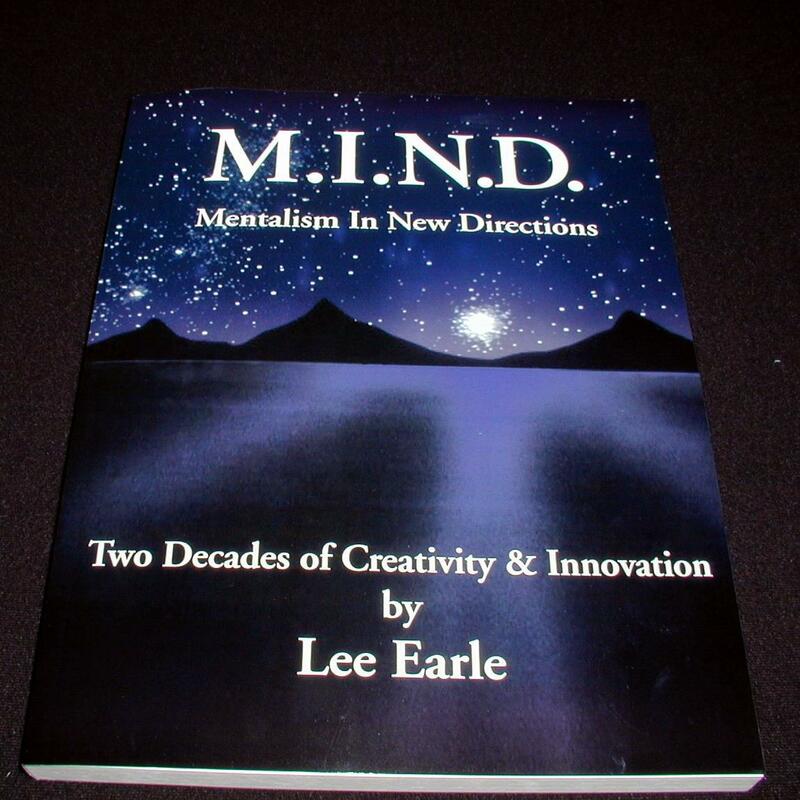 As recipient of the Psychic Entertainers Association Award for Outstanding Contributions to the Art of Mentalism, Lee Earle is acknowledged as one of the men who have changed the face of Mentalism forever. 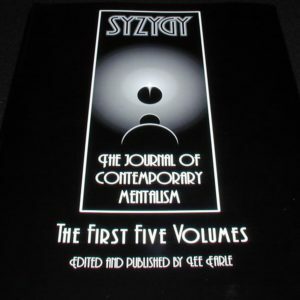 Now, the bulk of his creativity is assembled in this single, significant book. 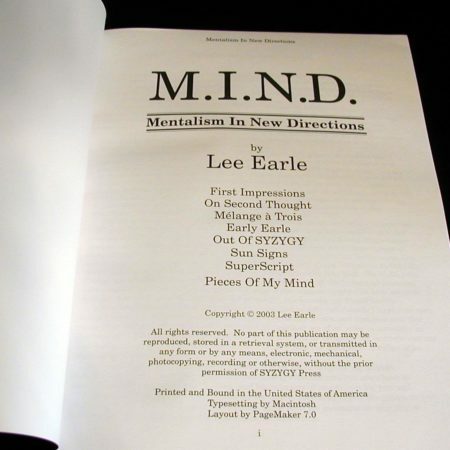 Over two decades of “outside the box” thinking from one of the most prolific minds in mentalism plus nearly all of Lee’s published writings from the past twenty years-more than fifty routines, including many of his limited release commercial items-are literally within your grasp. 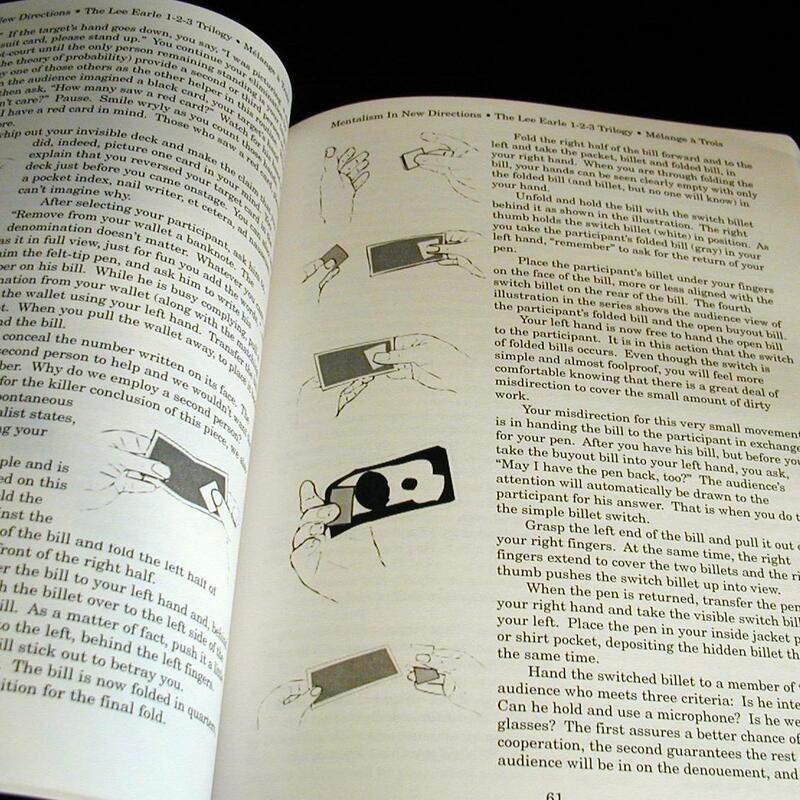 Included with each copy is a CD-Rom (Windows and Macintosh compatible) containing the necessary Adobe Acrobat Reader PDF files for producing a number of full-color, professionally designed props and promotional materials on your personal inkjet or laser printer. You get multiple templates for Sun Signs, more ready-to-print masters for the complete SuperScript materials and cards, Topologo’s colorful single-page layout, color photographs and enlarged ‘newspaper clipping’ for Bascom Jones’ Dark Memory, celebrity handwriting samples to use with an evocative Pretellus presentation, and full-size color copes of genuine stock certificates for the very contemporary Taking Stock. BONUS: The CD-Rom also contains a thought-provoking interview with Lee Earle, conducted by the esteemed Dr. Juris, in which Lee discusses the distinctions between mental magic and Mentalism, the critical elements necessary for a successful performance, tips on how to present Mentalism to skeptical audiences and much, much more.